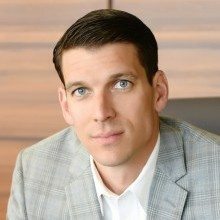 Jonathan Moneymaker, Altamira Technologies Corp.
A familiar face has taken the reins as president at Altamira Technologies Corp: Jonathan Moneymaker, chief strategy officer since 2014, was promoted after leading the company to double-digit growth for two years straight. 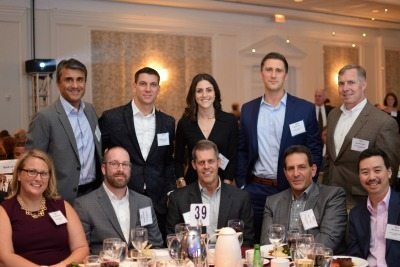 Moneymaker, who joined Altamira in 2014, has been crucial to numerous market initiatives, which helped the company cinch the 2017 title of GovCon Contractor of the Year ($75 million-$300 million). He has a track record of successfully growing and executing diverse portfolios of business with a focus on creating value across dynamic commercial and federal markets. Moneymaker “unquestionably earned this position through the organic and acquisitive growth endeavors of the past few years,” said Mark HuYoung, managing partner and practice leader-investor, board and C-suite, of NorthWind Partners. Before joining Altamira, Moneymaker served as general manager of Boeing’s Intelligence Systems Group business unit. He came to Boeing from Anonymizer, Inc., where he was vice president and led its merger with Abraxas Corp.
Moneymaker also served in Ocean Systems Engineering Corp SMART division, managing a C4ISR and Anti-Terrorism Force Protection portfolio. He participated in the acquisition of the company to Apogen Technologies. “I look forward to continuing to work with Jonathan as we build Altamira and deliver world class services to the national security community,” Davies added.